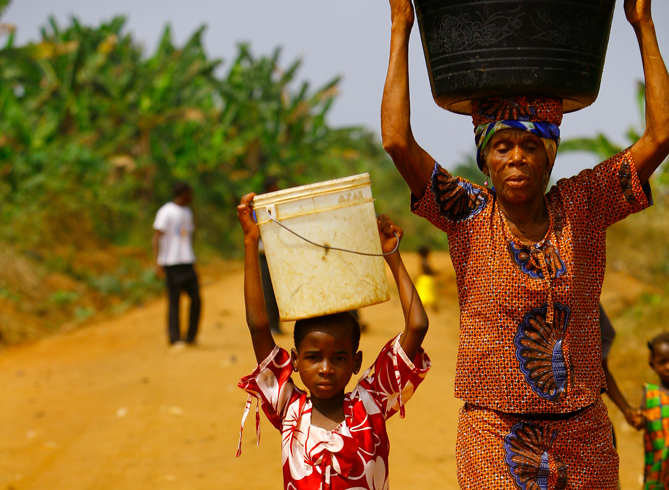 Programs like GAVI (Global Alliance for Vaccines and Immunizations) and the Global Fund to Fight AIDS, TB and Malaria have helped make progress on the poverty-fighting plan, the UN Millennium Development Goals. However, as a reader it sometimes helps to have some visuals to make this progress seem more 'real'. 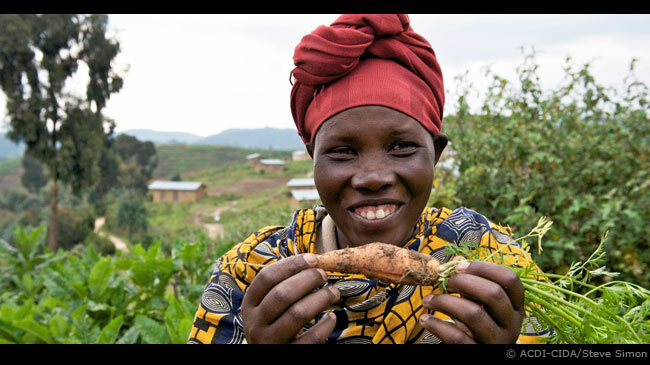 Below are photographs of life-saving, life-improving, poverty-fighting development assistance in action, including programs funded by the UK’s DfID, the US’ USAID, the European Union and Canada’s CIDA. 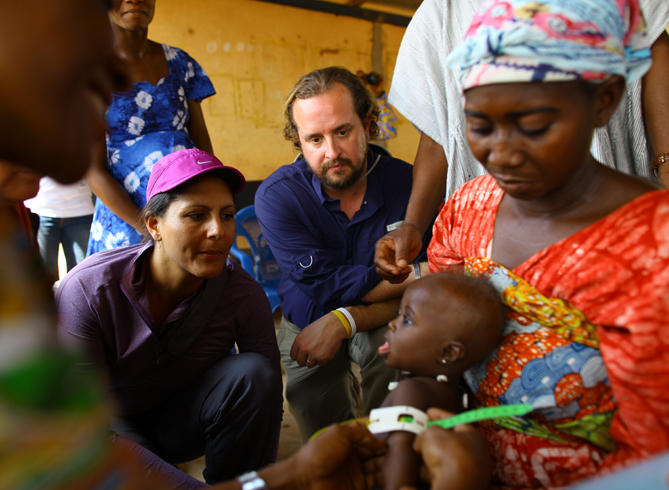 USAID supports the Nyankpala Community Management of Acute Malnutrition, which helps provide assistance to children suffering from malnutrition. Photo credit: Morgana Wingard. 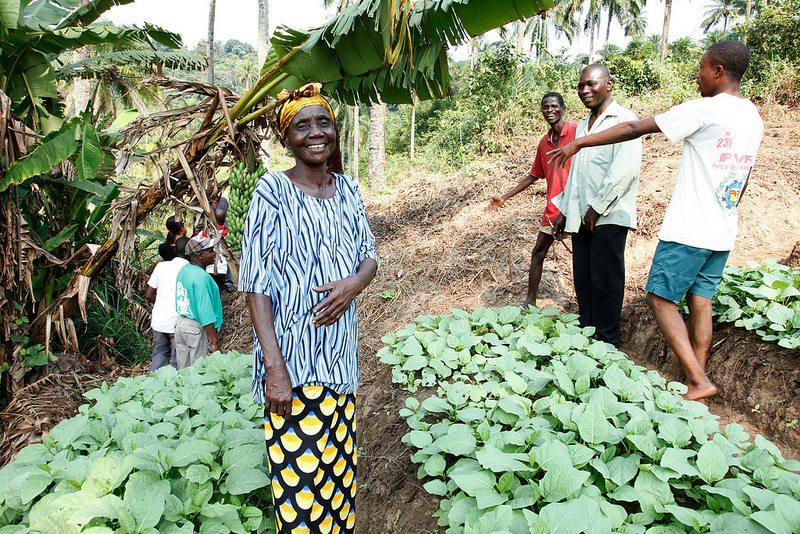 UK aid has supported the government of DRC and aid agencies including Action Against Hunger to help tackle malnutrition from the ground up – by forming their own co-operative farms and self-support groups. Photo credit: DfID. 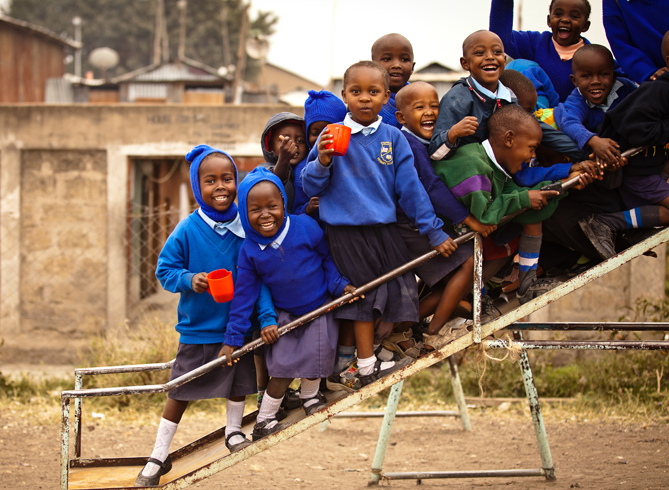 The Mwangaza Tumaini School in Mukuru Nairobi is a primary school in a slum of Nairobi funded in part by USAID and the Aga Khan Foundation. It recently started a grade 1 & 2 reading program that focuses on learning outcomes. Photographed by Morgana Wingard. 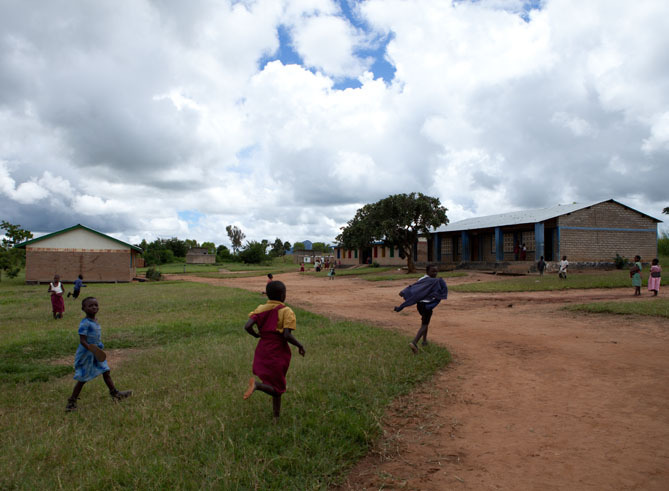 The Mawango School in Malawi is supported by UNICEF and the European Union. From 2001 to 2011, enrollment has grown from 156 to 777 students and 12 teachers. It recently started a grade 1 & 2 reading program that focuses on learning outcomes. Photo credit: Morgana Wingard/ ONE. Global Alliance for Vaccines and Immunizations (GAVI) (funded in part by DfID, USAID, the European Union, Canada and more) and its partners rolled out a new vaccine to prevent pneumonia in Kenya. 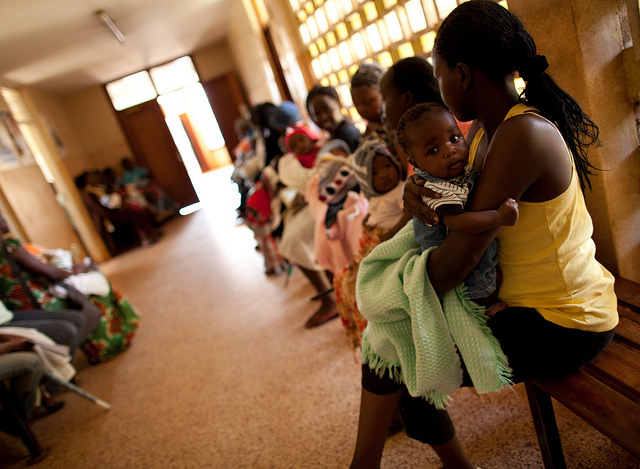 Mothers wait in line to receive vaccines for their children. Photo credit: Morgana Wingard/ ONE. Global Alliance for Vaccines and Immunizations (GAVI) and its partners are introducing a new vaccine to prevent pneumonia in Nairobi. 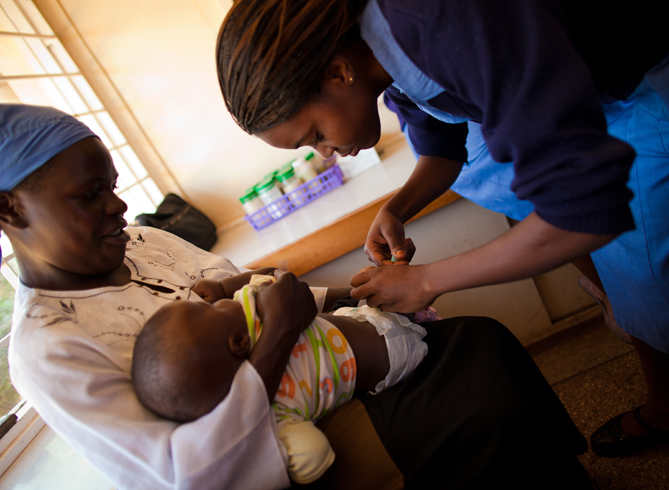 Babies at Langata Health Facility in Nairobi receive the pneumonia vaccine. Photo credit: Morgana Wingard/ ONE. The Mother-to-Mother program at Adama Referral Hospital is a support group for expectant mothers who are newly diagnosed with HIV. This program receives support from PEPFAR through JHPIEGO and the hospital is supported by several donors including the Bill and Melinda Gates Foundation. Photo credit: Morgana Wingard/ ONE. 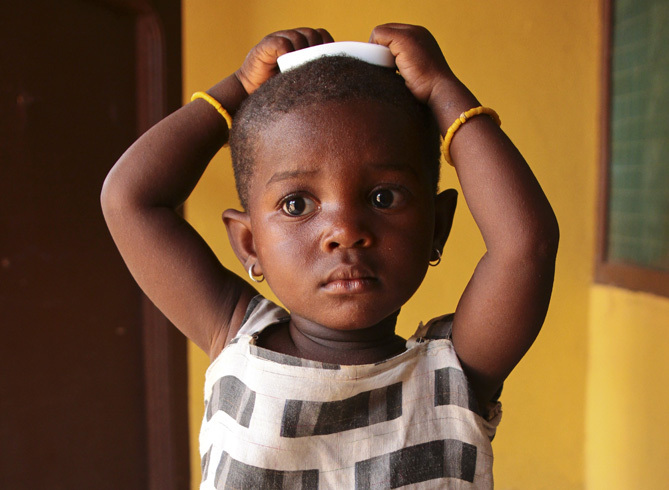 Global Fund and PEPFAR help fund the Prevention of Mother to Child Transmission Prevention program in Accra. Photo credit: Morgana Wingard. 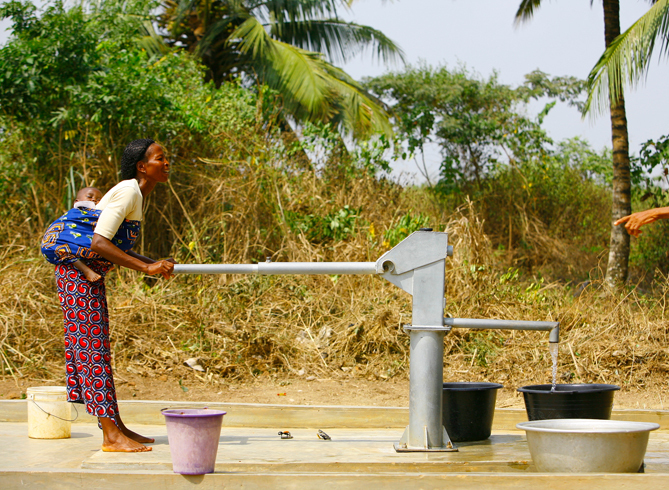 A USAID and Rotary International water and sanitation project in Ghana. Photo credit: Morgana Wingard/ ONE. 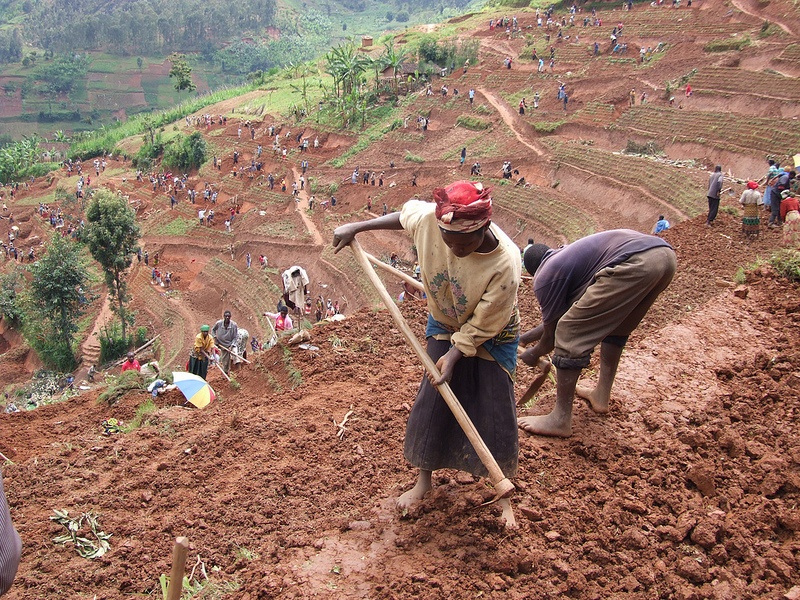 DFID funded Vision 2020 Umurenge Programme (VUP), Rwanda’s flagship Social Protection Programme, women and men in northern Rwanda work on a public works site, building terraces to prevent soil erosion. 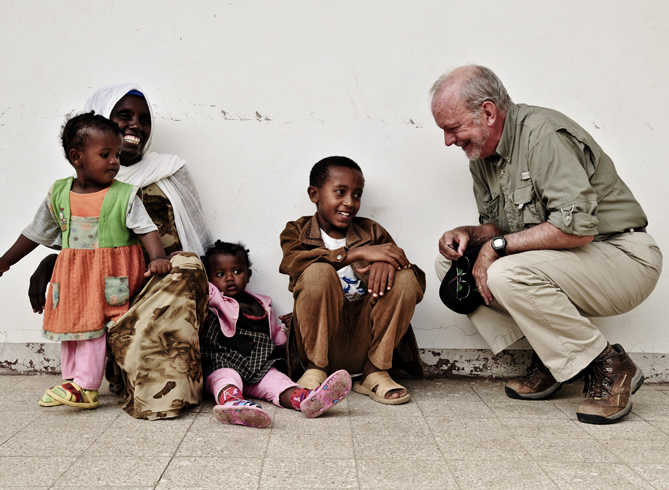 Photo credit: DFID.